The restaurant offers delicious meals in a pleasant environment. You can order different meals from the menu. 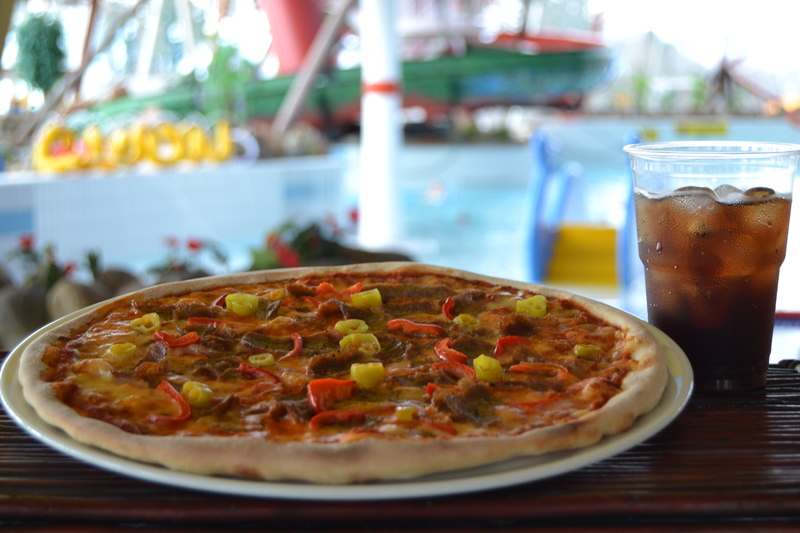 The menu includes different pizzas, chicken wrap meal, french fries with condiments and salad. Our poolside bar offers you refreshments in the heat of tropics. Selling ends half an hour before closing.